We are proud to offer you a selection of the finest links golf courses to be found anywhere in the world. 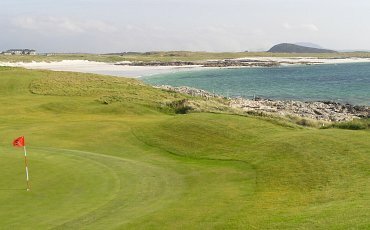 Along the west and north west coastline of Ireland, you will find 12 Championship Links courses including: Ballybunion Golf Club, Royal County Down, Lahinch Golf Club The European Golf Club, Connemara Championship Links, Carne Golf Links, Enniscrone Golf Club, County Sligo Golf Club, Donegal Golf Club, Ballyliffin Golf Club, Tralee GC and many more. 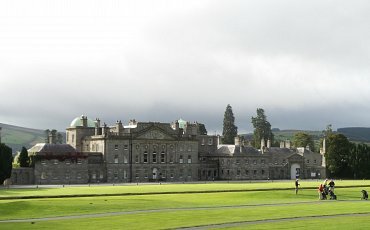 For those who enjoy parkland golf courses you will find some of the finest Championship courses in the world at the K Club (Ryder Cup 2006), Dromoland Castle, Druids Glen, Mount Juliet, Carton House Adare Manor, Galway Bay Golf Resort, Galway Golf Club and many more. It is also possible to combine links and parkland courses. Not to forget the many beautiful Local Courses around Ireland, like Connemara Isles GC, Esker Hills GC, Glasson GC and Gort GC. 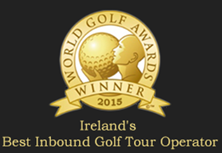 Day 1: Travel around Lough Corrib and visit Ashford Castle Hotel and Golf Club (Green fees can be arranged). Play at Ballinrobe Championship Golf Club. A parkland, par 73, with beautiful old trees and ruins. Enjoy dinner in our recommended Connemara restaurant. 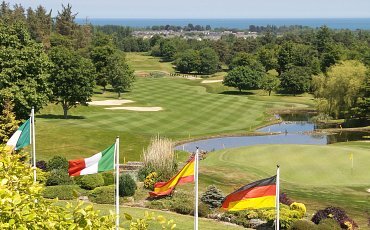 Day 2: Play at Bearna’s Golf & Country Club on the west coast where you will enjoy commanding views of Galway Bay, the Burren, and Aran Islands. After golf, enjoy dinner in a cosy pub or restaurant in Barna Village. 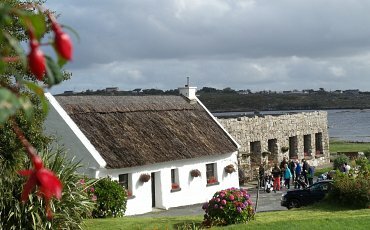 Day 3: Visit the Aran Islands and the Dun Aengus Fort standing on a cliff 300 mtrs above sea level or a tour to the Cliffs of Moher (with a boat ride under the cliffs, weather permitting). End the day with Connemara mountain lamb and wine at Inishmore House. Day 4: Take a breathtaking tour through Connemara with a trip on a Catamaran up Ireland’s only Fjord Killary. Golf at Connemara Golf Club. 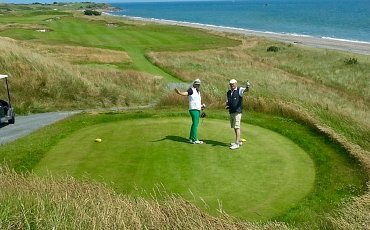 A challenging championship links course designed by Eddie Hackett. Finish with dinner at the Club House or in Clifden. 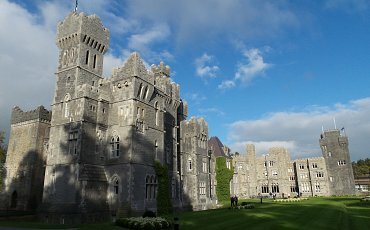 Day 5: Golf at the wonderful Dromoland Castle and Golf Club. Visit the historical site of Kilmacduagh with its famous round tower from the 12th Century and Abbey ruins from the 7th Century. End the day with seafood and oysters. Day 6: Visit Connemara Isles and golf on the edge of the Atlantic Ocean in the heart of the Gaeltacht area of Connemara. Complete the day by enjoying the famous Lobster dinner at Inishmore House, with fresh lobsters, crabs, prawns, mussels and smoked salmon and drink, followed by a prize giving.